Jackson is an eight-week old yellow lab. 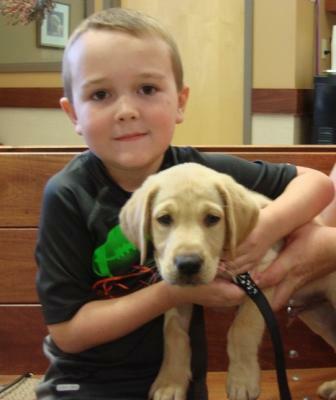 His big brother, Kyle and Mom are very excited about Jackson’s 1st puppy visit with Dr. Linda Bohn. Jackson is a very active and energetic puppy who is well loved! Jackson and Kyle are best buds!